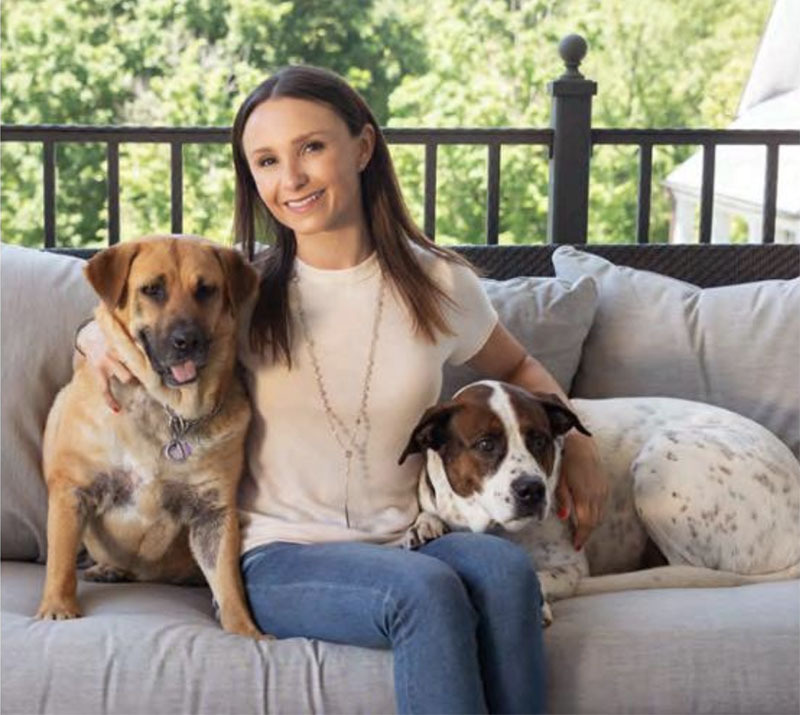 New York, NY – July 25, 2018 – Georgina Bloomberg announced today her sponsorship of Paralympian Sydney Collier in support of her bid to compete in the 2020 Tokyo Paralympic Games. 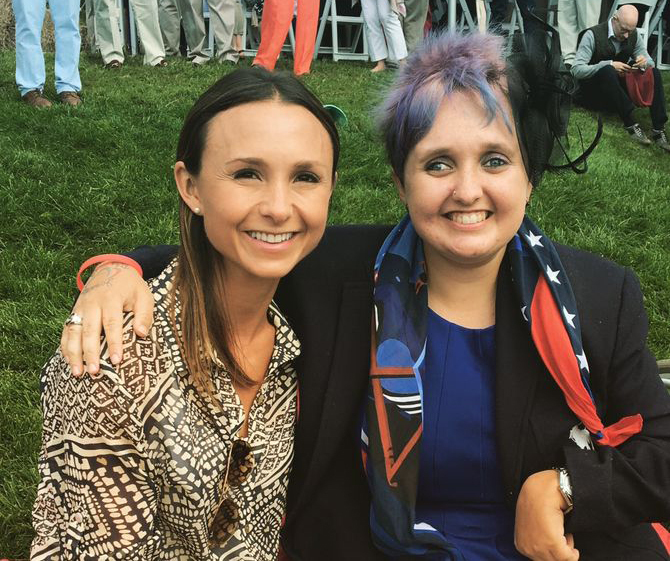 Bloomberg, who is one of the United States’ top show jumpers, has been friends with Collier for years and is excited to help the talented para-dressage rider continue on her quest to represent the United States in championship competition and further promote the sport of para-dressage. 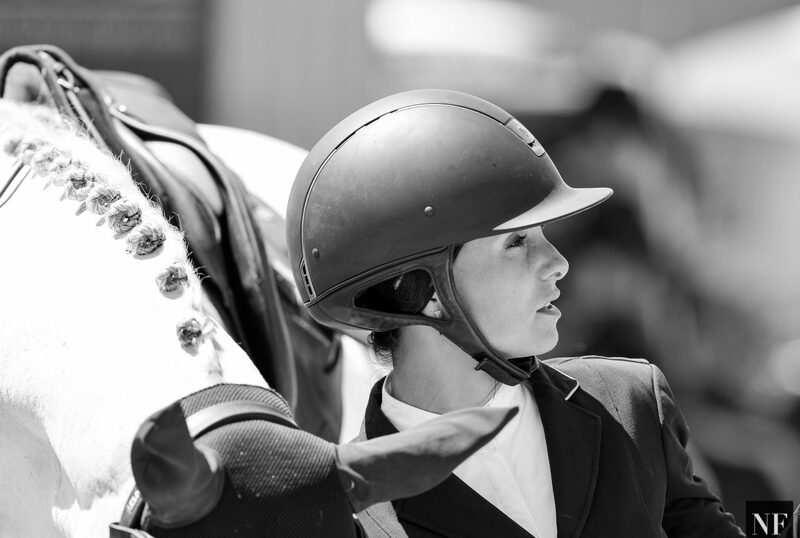 Collier, 20, approached Bloomberg about her sponsorship idea after the two riders met at a fundraiser for the U.S. Equestrian Team for the 2016 Rio Paralympic Games. 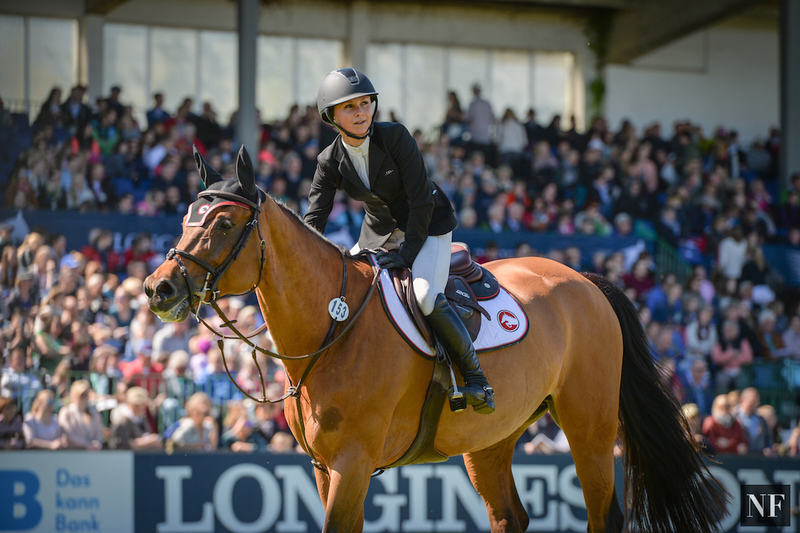 Bloomberg purchased Collier’s horse, Fherrigamo, a seven-year-old U.S.-bred Oldenburg gelding (Fhitzgerald x Di Caprio), and will cover “Fritz’s” expenses in the lead-up to the 2020 Olympic Games. Collier, who started riding as able-bodied at the age of seven, made the switch to para-dressage when she was 11 after a rare birth defect caused tumors and a massive stroke left her with limited use of the left side of her body, completely blind in her right eye as well as three-quarters blind in her left eye, following brain surgery. 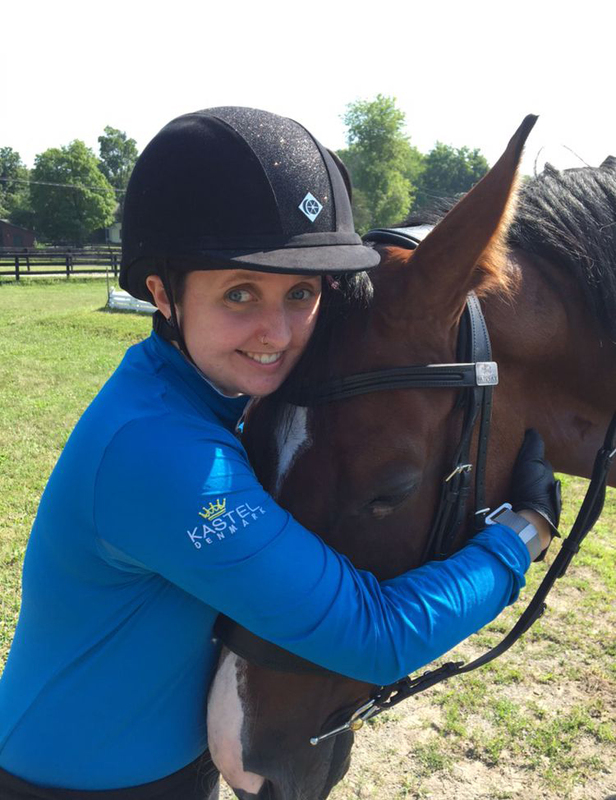 Collier found the sport of para-dressage after seeing it at the 2010 Alltech FEI World Equestrian Games (WEG) in Kentucky and immediately set forth on revised goals, but never gave up on her Olympic dream. 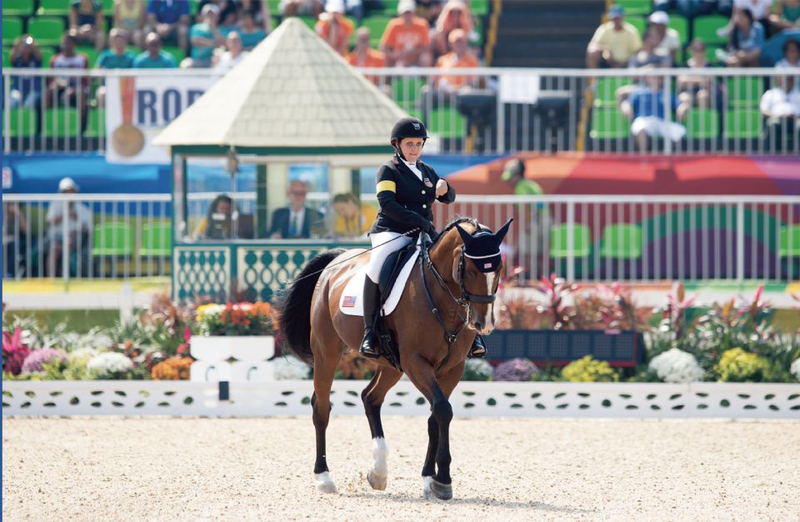 After first representing the United States at the 2014 WEG in Caen, France, she went on to compete at the 2016 Rio Paralympic Games, where she finished seventh individually with Western Rose. Sydney Collier and Western Rose competing at the 2016 Rio de Janeiro Paralympic Games. With her new mount Fritz, Collier believes she has the ability to help the United States at the next Paralympic Games. 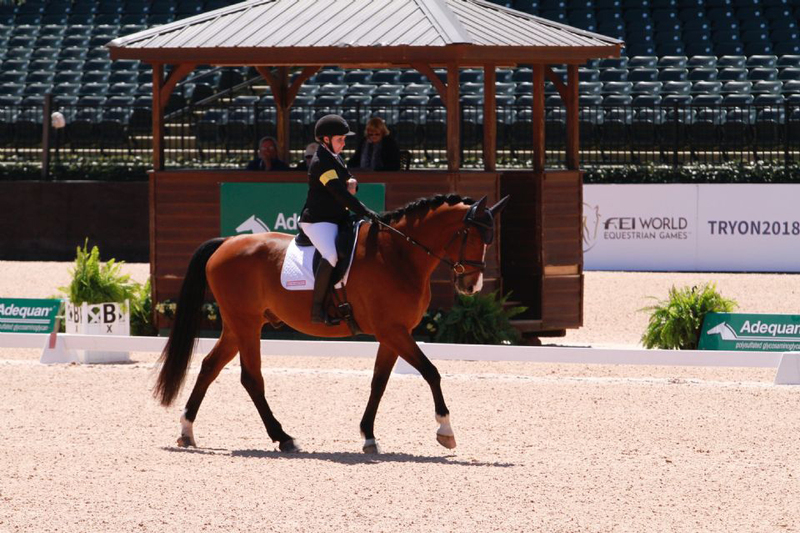 The pair had solid results at a recent CPEDI3* competition in Tryon, NC. While this year’s WEG is too soon to set as a goal for the young horse with limited show experience, Collier thinks he will be a medal contender in 2020. 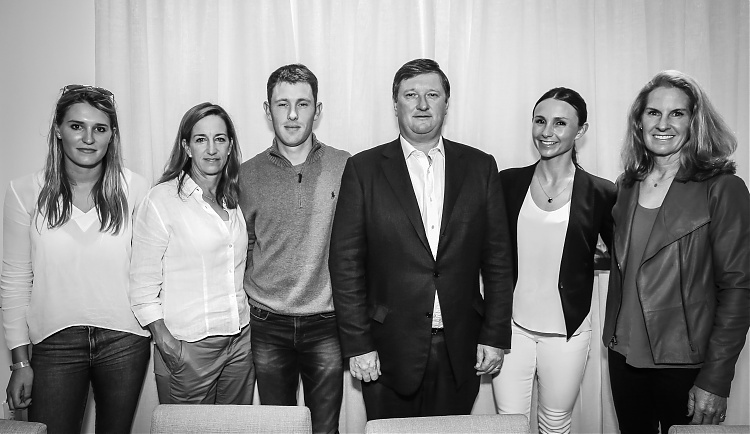 Collier believes that her partnership with Bloomberg will also help grow the sport of para-dressage and has a goal of promoting it with younger riders, a goal Bloomberg shares as her own Gotham North is the presenting sponsor of the Adequan®/FEI North American Youth Championships. Collier is excited to continue her work with Fritz and prepare for 2020. For more information on Sydney Collier, visit www.sydsparaquest.com and follow her on Facebookand Instagram.